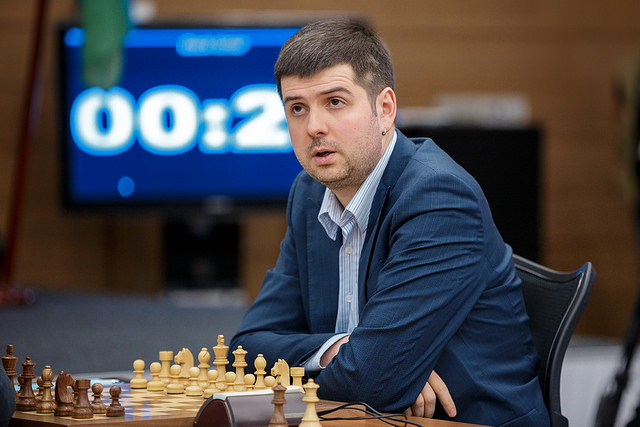 GM Emil Sutovsky has written a fascinating progress report after the first three rounds of the Candidates Tournament gave us some clues as to the form of the players. He spots danger signs for Kramnik, thinks Svidler is ready to win an event of this magnitude and still feels Aronian’s winning chances are better than Anand’s. When considering the chances of the players before the tournament I told my friends that I don’t believe in an Anand victory, but I think he should play well – the line-up is incredibly convenient for him. Vishy has a good score against almost all those present, and even an indecently good score against some of them. Against all of them, but Aronian. Meanwhile, some extremely inconvenient players for him – Carlsen and Nakamura (out of respect for Vishy I’ll leave out the statistics of his recent encounters with them) – aren’t involved. So I predicted Vishy should play well. For the moment, however, the play and results of the ex-World Champion are exceeding the boldest expectations of his fans. 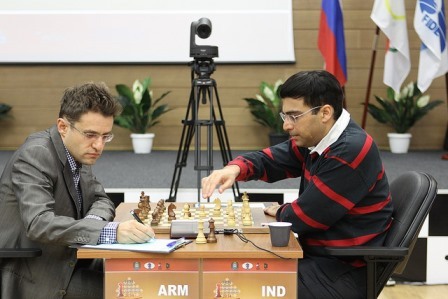 It’s obvious that the opening victory against his historically inconvenient opponent Aronian has given him faith in himself and Anand is in the mood to fight to qualify for a rematch against Carlsen. Such a comeback would be very dramatic, although I don’t personally have any great belief in the likelihood of such a scenario. I still expect, as I did before the tournament, to see Vishy in a range from second to fourth place. Everything’s going almost ideally for Kramnik. 2/3 (and two games with Black), another fruitful opening idea in the game against Karjakin, brilliant defence of a difficult position against Svidler… Stop! There’s a logical discrepancy here. Kramnik got a difficult position against Svidler? Did Peter explode some kind of bomb? Did he let off dynamite under the Berlin Wall? Nothing of the sort! In quite a popular but nevertheless not overly principled variation of the English Opening Kramnik left the main lines and ended up with a solidly worse position, which in a few moves even turned into a lost one. That’s a warning bell for Vladimir. This is where, in my view, the main danger lies for Kramnik – if his opponent chooses an unexpected variation/opening that he hasn’t checked up before the game then as a rule Kramnik leaves the trodden paths and, again as a rule, it ends badly for him. Last year we saw no lack of similar cases (it’s enough to mention his three games against Andreikin alone!). The only thing I can mention is the poor opening preparation of Kramnik, particularly when he has the black pieces. It seems to me that such a statement doesn’t accurately reflect the situation, but overall Kramnik has got something to think about. 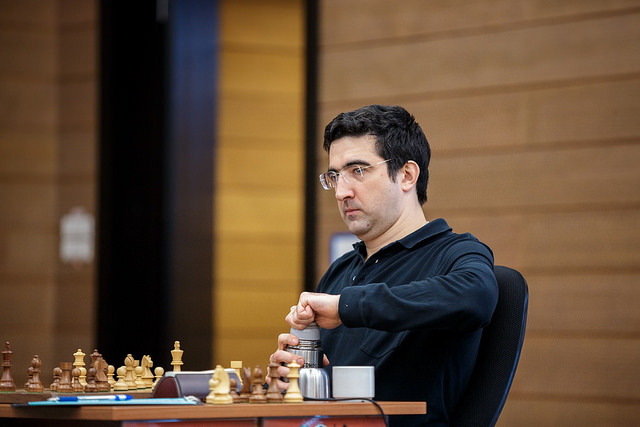 After all, he faces another five games with Black against opponents who no doubt aren’t planning to probe the depths of Kramnik’s analysis and will instead try to spring an opening surprise on him. However, for now those are just clouds on the horizon, and Vladimir remains one of the main favourites for the tournament. Svidler is looking very powerful and confident. It seems to me that it’s precisely that confidence that Peter lacked in the past. But now, despite missing a goal-mouth opportunity in his game against Kramnik, it’s clear that Svidler is mentally ready to win such a tournament. Not to play well and post a very decent performance, but actually to win. His choice of an extremely sharp line with Black against Karjakin, his confident victory over Andreikin and… a win against Kramnik before the rest day could suddenly have transformed him into the favourite, but he fell just short. If Peter doesn’t start kicking himself about that and continues calmly to play at the same level then he’ll have good chances of first place. If you recall, in London the turning point for him was letting a win slip against Gelfand, after which Svidler visibly drooped. However, it seems to me that in the past year Peter has changed a lot and such a failure shouldn’t derail him. Moreover, yesterday’s press conference demonstrated that the St. Petersburg grandmaster is in a condition literally to gush variations even after five and a half hours of play and when not in the best state of mind. That says a lot, above all about his desire for this tournament. Many, including your humble servant, considered Levon Aronian favourite number one before the start of the tournament. His play in Wijk aan Zee made a big impression on me personally, and Aronian also looked very good in Zurich. In the opening rounds, however, Levon hasn’t managed to attain his usual high level. The dispiriting defeat to Anand and the rather unpleasant (although confidently held) position in the game against Topalov aren’t what we had a right to expect from the brilliant chess player who over the course of the last few years has occupied second spot on the world rating list. And of course that also wasn’t what Aronian himself was counting on. On the positive side there’s the win against Mamedyarov, but that was carved out by the efforts of Shakhriyar himself, so I don’t think Aronian will be happy with how things are going. On the other hand, such a small gap to the leaders is far from decisive over such a long tournament. Remember how long it took Kramnik to find his form in London. What matters is something else – will Levon manage to get his game going and overcome the nervousness and sense of hyper-responsibility that has marred his performances in previous Candidates events? If he does, then it’ll be very tough for his rivals. The full article (in Russian) can be read at ChessPro.